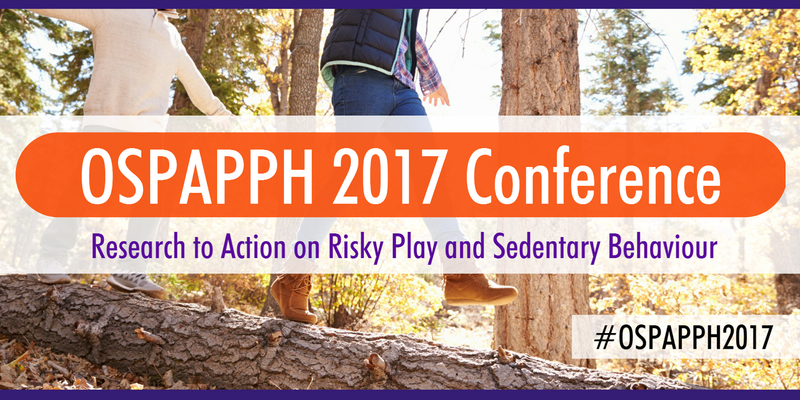 OSPAPPH: Registration for Inaugural OSPAPPH Conference Now Open!! Registration for Inaugural OSPAPPH Conference Now Open!! Attention all physical activity promoters!!! Registration is now open for the inaugural OSPAPPH Conference - Research to Action of Risky Play and Sedentary Behaviour. Click on the link to see our Program at-a-glance and complete the online registration through our online event page.